Asus got unnerved by all the gigantic 5.5"+ phones flowing around these days, and came out with a unique solution of its own. 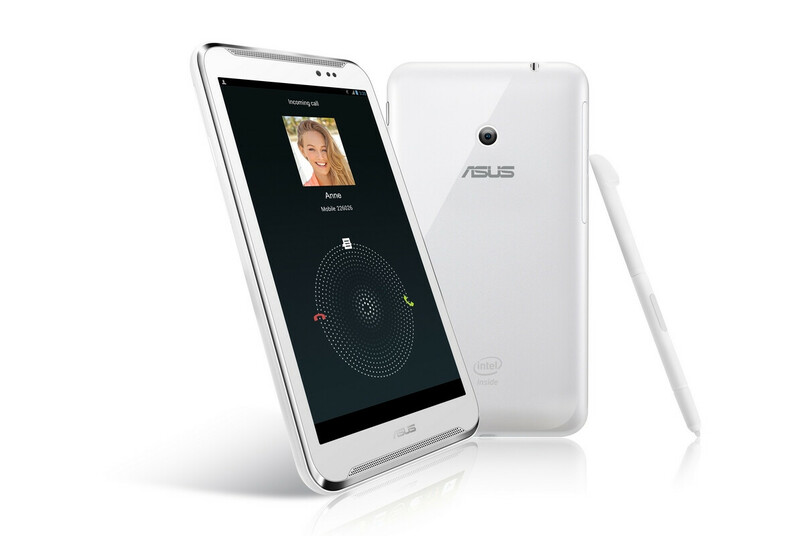 The Asus FonePad Note sports a 6" Full HD display, a stylus, and is powered by a dual-core 1.6 GHz Intel Atom Z2560 processor. 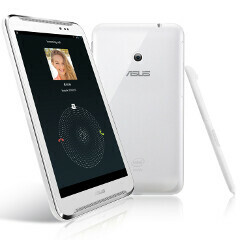 The chipset certainly sets it apart from all the other phablets out there (actually Asus directly called it a tablet). We also get 2 GB of RAM, 8 MP camera on the back and dual front stereo speakers, as is all the rage these days, starting with the HTC One. The 6" display panel is with 1080x1920 pixels of resolution, making it the first Full HD 6" phone announced, and is of the Super IPS-LCD+ variety, which ensures peak brightness of 450 nits and great viewing angles. There's a longish stylus tucked in a silo here, just like in Samsung's own Note family, and the Asus phablet sports HSPA+ radio, which will allow you to talk on GSM networks and download stuff with speeds up to 42Mbit/s, if your provider supports them. I want one NOW, no gimmicky lte or camera that I will never use, if the price is right I will be sure to pick this beast up. Device has very similar specs to the Lenovo K900. damn, I heard Lenovo K900 is also very good device. This is interesting, though. LTE is gimmicky? You also said 5" phones are too big for women, but too small for men. I think it's pretty safe to say that you have no idea what you're talking about. Lenovo. lets stick with them! Looks like a blown up Optimus black. Somehow this seems a tonne more attractive than phablets? Really? I mean really? No, I mean are you serious? Appreciate ASUS they called it a tablet. Other OEM will one day give you 10 inch tablet and would still call it a phablet. Im impressed but is there a front facing camera on this thing? The top right area of the phone, there are 3 dots, the bigger one is likely the front facing camera (I hope so). But the point is.. 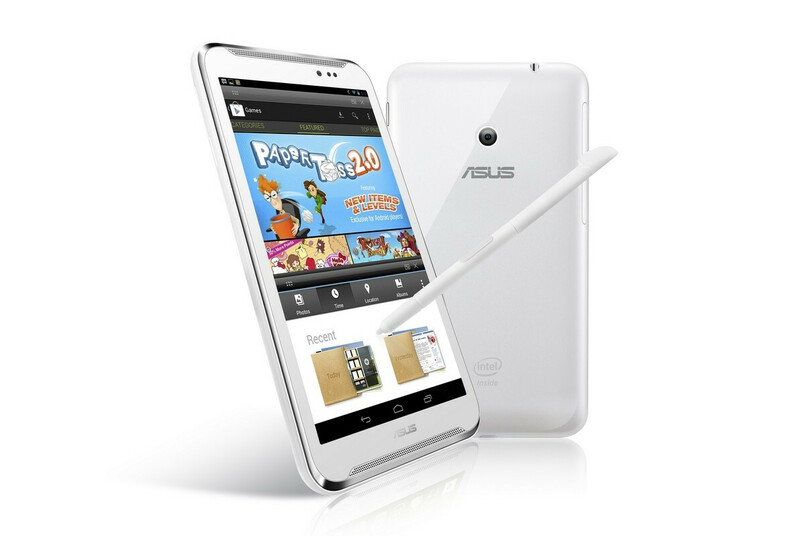 Does stylus has features like the Note 2? I feel the same way. If it doesn't have features like the S-Pen does, then it becomes rather pointless. You can get a regular stylus for any phone. It won't do things like air-view or have a button on it to change functionality. What a copy of the name of the Samsung Galaxy Note series. I think the side bezels are kinda killing this design. I don't mind the top and bottom parts because it's there for the front speakers. But the sides will make it a harder phone to use.